There’s a long-ranging debate over regular versus natural toothpastes. However, as outlined in the other articles on the website, there are many reasons why natural toothpastes are definitely better than regular ones. However, the debate comes to which natural non-fluoride toothpaste is the best, for there are a large number of possible non-fluoride toothpastes to choose from. There are a few criterions upon which to decide whether or not fluoride toothpaste is worth it. For example, the toothpaste should not have artificial flavoring or colors. And it should also not be containing the chemicals present in conventional toothpastes like SLS and Triclosan. The accompanying article on this website compares non-fluoride toothpastes in more detail. Is a cell phone radiation blocker really necessary? Some are concerned that the electromagnetic radiation emitted from mobile phone handsets may harm health. In particular, there have been claims it could affect the body’s cells, brain or immune system and increase the risk of developing a range of diseases from Alzheimer’s to cancer. Others heavy cell phone users report headaches, fatigue and loss of concentration. But what about children? Children could be more at risk from the radio waves emitted by mobile phones because their brains are still developing and their skulls are thinner, making it easier for the radio waves to penetrate them. If they start using mobiles at a young age, their cumulative lifetime use will be most likely higher than adults so they are advised only to use cell phones in emergencies. What do you do when your kid has ugly chapped lips? A child is unable to understand the effects that a cold has to their facial features or their body. All they know is that there is pain and discomfort whenever they blow their nose and, a child’s chapped lip may be raw from the repetitive dripping of the clogged nasal passages that continually run liquid down onto their face. A child’s chapped lip will not be an easy thing to treat because children have the tendency to turn away every time you try to apply an ointment, or provide them with a cream that must stay undisturbed for a while in order to provide relief. The lip area of the face on a child is very tiny. For a child’s chapped lip to endure the healing process, a smaller, more effective application is needed to help them get relief from the pain that they are enduring. While medications may not work, the heat that is usually contained in a child’s chapped lip can be relieved quickly and effectively without the use of any chemical treatment. For chapped lips to heal better, the use of ice cream is a good cure. This tasty treat will keep the child’s mind off the irritant that has been causing them so much pain. This effective tool in treating a child’s chapped lip will gently coat the layers of the lips in a cooling mixture that distracts the child for a little while. The thickness of the ice cream mixture against the surface of the lips is very comforting. A child’s chapped lip will be afforded a protective layering that will be a pleasing, yet effective way to add a barrier against outside germ sources. This delicious, creamy barrier will also alleviate the chance that the child will place his fingers on the sore area that a child’s chapped lip will definitely have. Of course, when the ice cream is finished, I am sure that the child will undoubtedly lick their chapped lips to get every drop of the ice cream that protected them for a little while. Many children, after eating ice cream, have a tendency to go to sleep, and sleep very soundly. This is the perfect time for parents to use a anti-chapping emollient as they lay sleeping. 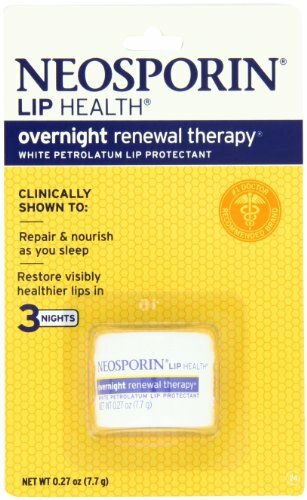 With the healing medications that are contained in this easy-to-use liquid ointment, the child’s chapped lip may be well on its way to being healed by the time they wake from their nap.